Foreign Minister Nikos Kotzias on Saturday underlined the importance of EU positions on the Turkish provocations in the Aegean and Cyprus’ EEZ, expressed by the president of the European Council Donald Tusk who urged Turkey to stop these actions immediately, on Saturday in an interview to public radio ERT. “It was a very strict statement, stricter than that in 1996 for Imia, the strictest every expressed by EU for Turkey” noted Kotzias. The Greek Foreign Minister sent a message to Ankara that it can’t make violations in Greece as those it does in the Middle East because “it (Greece) is an organised country that has all the means to defend its borders and its territory”. 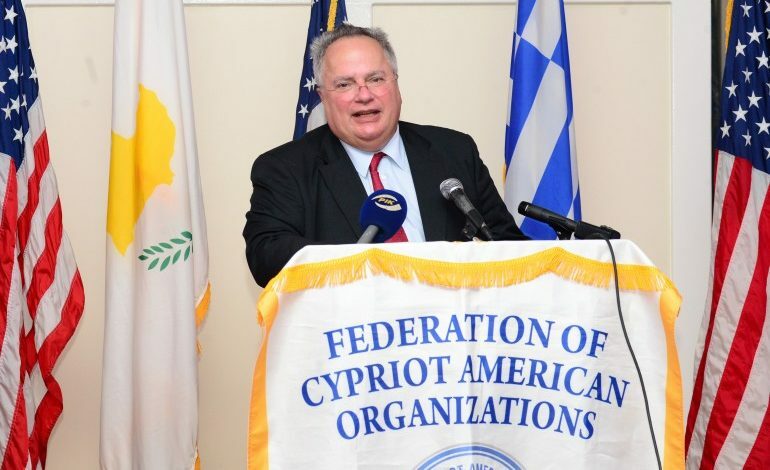 On Ankara’s recent actions of tension in the Aegean and the ramming of a Greek vessel by a Turkish one, Kotzias said that “If Turkey wants to raise tension, the least Greece can do is to follow it because Turkey has chosen the way and the period of this tension. We must prove to all the international community which is the peaceful power, which is us”. On Friday, five Turkish warships threatened to engage ENI’s drillship SAIPEM12000 as it tried to reach block 3 for a scheduled exploratory drilling. SAIPEM has been stationary for more than 12 days as Turkish ships have been blocking its course to block 3. 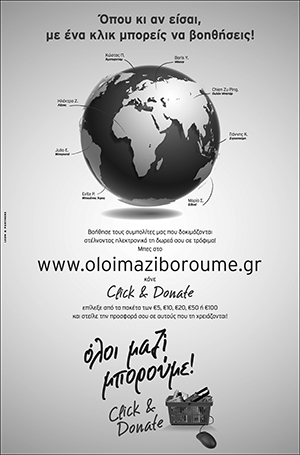 According to Kalliope Agapiou-Josephides, assistant professor at the department of social and political sciences at the University of Cyprus and member of the advisory Geostrategic Council, the handling of the standoff with Turkey at block 3 of the island’s EEZ will set the tone for the next scheduled drillings. In an interview with the Cyprus News Agency, Josephides welcomed the announcement on Friday by European Council President Donald Tusk that an EU-Turkey summit next month was conditional on Ankara’s termination of its actions in blockading the rig sent to the site by Italy’s ENI. The drillship, Saipem 12000 was anchored some miles off Limassol in international waters on Saturday before it departs for Morocco after being under a Turkish blockade for two weeks. The best defence of the Republic of Cyprus(RoC) in the unimpeded exercise of its sovereign interests in its EEZ, Josephides said, was the foundation of its actions in international law and on the other hand, the strategic moves, goals and alliances which the island has built in recent years. “The diplomatic moves and meetings that have been planned are extremely important and seem to have worked,” Josephides said. She added that Tusk, on behalf of all EU leaders, expressed his support on the sovereign right of the Republic of Cyprus to explore and exploit its natural wealth in accordance with European and international law, including the UN Convention on the Law of the Sea. “In his statement, Mr Tusk acknowledges that Turkey’s actions are in contradiction with her commitment to good neighbourly relations and the normalisation of her relations with all the member states,” she said. Even though Tusk declared the readiness of the EU to cooperate with Turkey, she said, the possibility of the scheduled EU-Turkey summit next month in Bulgaria taking place will be discussed at the March European Council which will assess whether the conditions are there to hold the meeting. She added that at that meeting, Turkey has an important agenda to promote. According to Josephides the management of the modern geopolitical and geostrategic environment requires a complex and forward-looking strategy based not only on interests but also on principles and values which can provide common ground in the search for solutions. The dynamics surrounding Turkey’s EU accession course, the EU-Turkey Refugee Agreement, “require responsible, sometimes discreet, manipulations beyond micro-party perspectives”. Josephides also stressed that as long as a settlement solution was pending, it complicated issues, including the RoC’s energy programme. A settlement would create new prospects, she said. But until then, the RoC will have to manage its energy programme prudently and in line with international law. It is on this basis that it will be able to build the credibility of guaranteeing the rights of Turkish Cypriots, Josephides said. For this reason, she said, efforts for a settlement of the Cyprus problem will have to be prepared properly and start immediately with the prospect of “the long-awaited successful outcome”. She added that current conditions were difficult and did not help the resumption of talks, but as timeframes are tight, preparation is imperative for talks to resume as soon as political conditions are improved, she said.